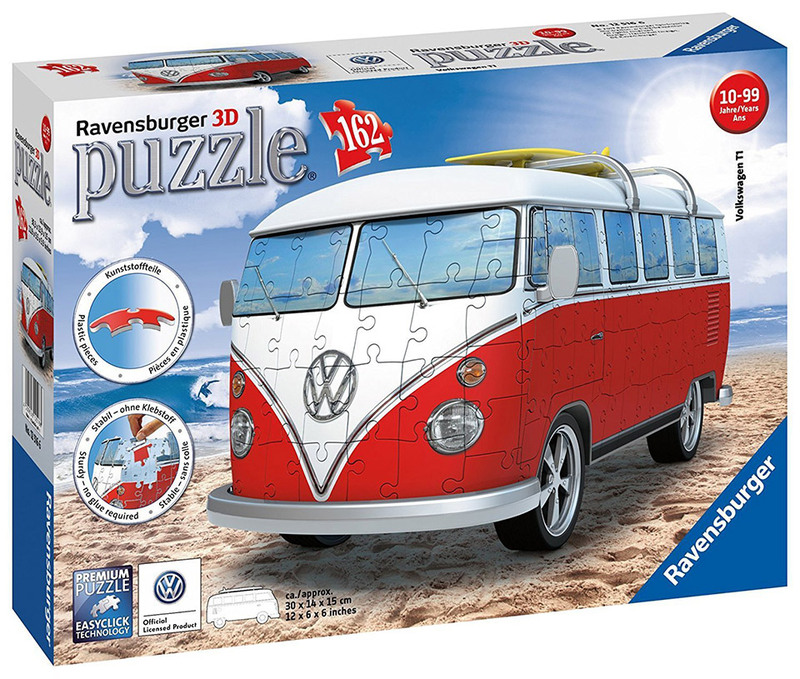 An easy-to-assemble 3-dimensional model of the iconic Volkswagen Type 1 camper van that you assemble from plastic puzzle pieces. It has 162 curved pieces, a rolling base and even a couple of surfboards you can put on its roof. The finished van measures 11.75″ x 5.5″ x 6″.